Set of Three Imperial Standard Weights for WEST SUSSEX, 1872. 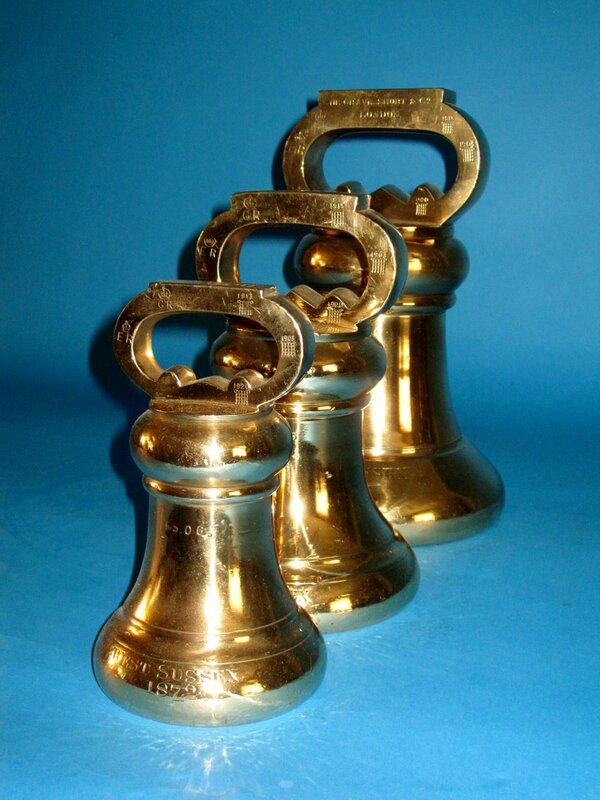 Description: A set of three Victorain bell metal brass alloy Imperial Standard Avoir weights for WEST SUSSEX, 1872. Manufactured by De Grave Short & Co., London. Verification stamps & dates. Comprising: Imperial Avoir 56lbs Imperial Avoir 28lbs Imperial Avoir 14lbs. Other: Max Height 56lbs: 12.25 inches.